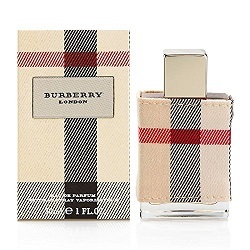 Burberry is one of the popular designer perfumes, which was founded by Thomas Burberry. 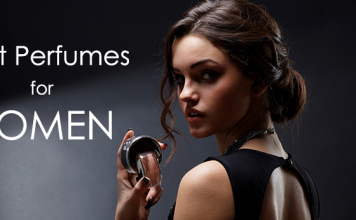 The designer delivers top-quality colognes for both men and women. Initially, Burberry only designed perfumes for men, but later on started making women perfumes. Today, Burberry perfumes for women rank among the best on the market. Burberry for women is one of the oldest Burberry perfumes. The cologne was introduced in France back in 1995, and it has managed to stay among the top colognes for women over the years. It is many women’s favorite perfume since it delivers a refreshing and classy fragrance. It has a fresh and sensual scent that is balanced with some fruity notes. The perfume starts with top notes of bright bergamot, green apple, and blackcurrant. It then settles to middle notes of jasmine, cedarwood, sandalwood, and moss. The base notes are vanilla and musk. With a blend of these notes, you can be sure of having a sweet smell that can appeal to the men. The Burberry London perfume for women was launched in 2006, and it is one of the perfumes that deliver a modern floral fragrance. 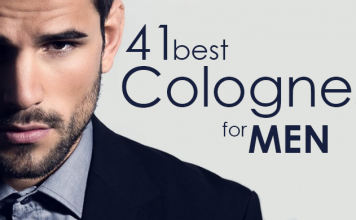 You will love the subtle spicy and fresh floral smell of the cologne. Also, it will last long on you, so you don’t have to worry about spraying it over and over again. It starts with top notes of honeysuckle and Rose, which is perfectly blended with a sweet tangerine smell. The middle notes are Soft Peony, Tiare Flower, and jasmine, while the base notes are musk and wood. This might not be the right choice if you don’t like spicy colognes. However, it is an ideal perfume for a lady that prefers a floral fragrance with appealing spicy notes. Burberry Brit is one amazing perfume that offers a refreshing scent. It is made with some strong notes that will wane off slowly. You will enjoy the sweet fruity flavors that are blended with a strong floral smell from the middle notes. The base notes come with a unique Asian fragrance. This perfume will go well with you if you prefer a sugary smell with some spicy notes. You may also wear it anytime of the day. As the name suggests, this perfume was created to give you a relaxing fragrance as you wear it. Burberry Weekend was created back in 97, and it has been women’s favorite ever since. It offers a refreshing mood, which also gives you confidence whenever you wear it. It comes with an appealing blend of fruity floral, and woody notes that are perfect for the summer and spring seasons. The top notes are tree sap, tangerine, as well as reseda plant, which are balanced with middle notes of nectarine, hyacinth, iris, peach flower, and tangerine. It cools off with base notes of cedar, musk, and sandalwood. This is one perfume that you would definitely enjoy wearing. It is best to wear it during the day. Whether you are going to work, or you have a girls’ weekend out, this perfume would still perform decently. Who wants a touch of Burberry Touch for women? This perfume is one ideal perfume you would enjoy wearing it around your man or girlfriends. It was introduced in 2000 and has outperformed a lot of fragrances for women since then. One thing you would love about the Burberry Touch is that it is made with a strong fragrance that delivers in any environment. It is one perfume that is seductive and balanced with smooth notes. The top notes are fresh dewberry, refined rose oil, California orange, and blackcurrant. It is balanced with middle notes of Madonna lily, jasmine, tuberose, raspberry, and peach. The base notes are vanilla, oakmoss, cedarwood, and fruity notes. Who wouldn’t love such a sweet and appealing fragrance? When you spray it, it starts with a strong smell, which will then wane slowly through the day. So yes, it is a perfect perfume to wear when going out for work. You can also wear it if you are having a girls’ night out.